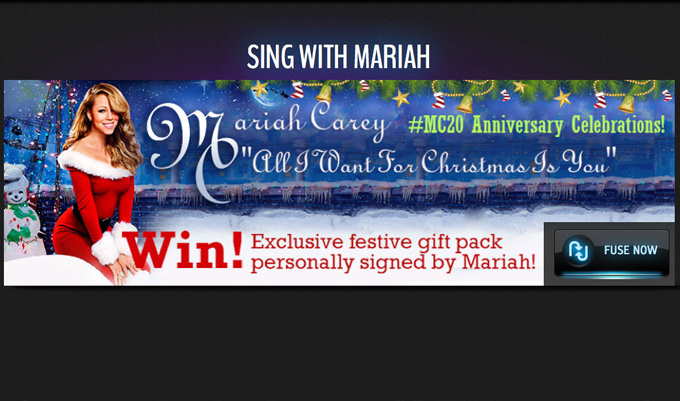 MariahCarey > News > New Contest: Sing 'All I Want For Christmas Is You' with Mariah! Fusic and Mariah have launched a fun contest for Mariah's fans. All you have to do is record yourself singing (or just singing along to) Mariah's "All I Want For Christmas Is You" on Fusic's #MC20 Contest page. Selected winners will receive an exclusive Christmas gift pack, signed by Mariah! Sing "All I Want For Christmas Is You" with Mariah! CLICK HERE!